Much like snowflakes and people, no two backyards, patios, decks, or outdoor living areas are exactly the same which is why adding this sectional sofa makes so much sense! 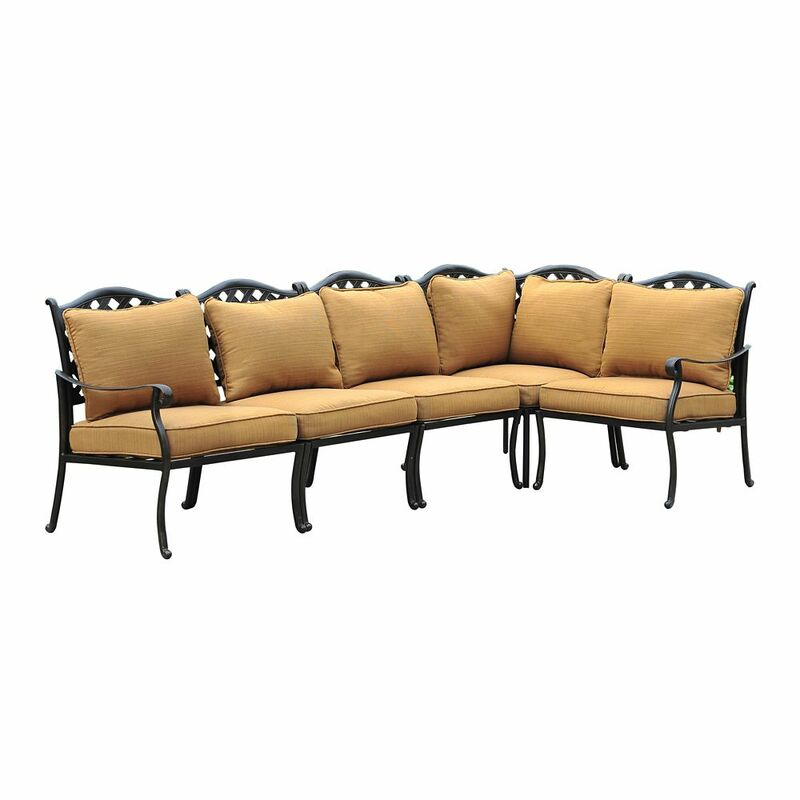 Build your own sofa, tailored to match your outdoor living area's needs and your wants. Loveseat and separate chairs? Sure. Extra long sofa? You got it. Transform your outdoor living area into something sensational by piecing together exactly the right piece of seating. This sectional sofa features both seat and back cushions for every piece. Each cushion is stuffed with plush foam and covered in premium Sunbrella fabric, designed to be fade, moisture and mildew resistant. Built from high quality aluminum this sofa is rust-free, durable, and lightweight. Build your ideal outdoor sectional sofa with pieces from the Naples Collection. The appealing straight profile, rendered in smoothly woven all-weather wicker, makes a visual promise of comfort that this outdoor wicker sectional delivers with its generous, supportive cushions. Select from a variety of sectional pieces to design the perfect seating solution for your outdoor oasis. This sofa comes fully assembled. Ruby Patio Sectional Sofa Much like snowflakes and people, no two backyards, patios, decks, or outdoor living areas are exactly the same which is why adding this sectional sofa makes so much sense! Build your own sofa, tailored to match your outdoor living area's needs and your wants. Loveseat and separate chairs? Sure. Extra long sofa? You got it. Transform your outdoor living area into something sensational by piecing together exactly the right piece of seating. This sectional sofa features both seat and back cushions for every piece. Each cushion is stuffed with plush foam and covered in premium Sunbrella fabric, designed to be fade, moisture and mildew resistant. Built from high quality aluminum this sofa is rust-free, durable, and lightweight.